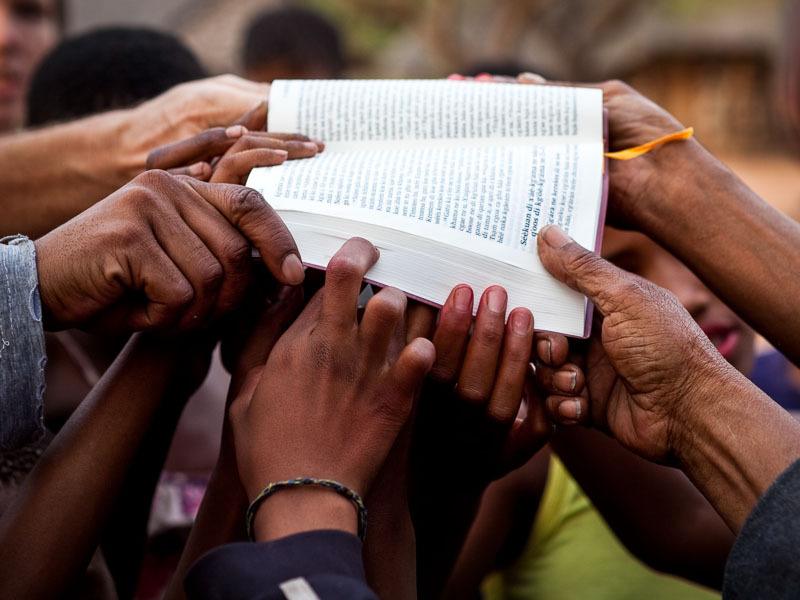 Many hands present the finished book to those gathered at the celebration for the Naro New Testament in Botswana. This image celebrates that the work of Bible translation is done by a community of people, often representing different villages and churches. Each person brings his or her own faith, understanding and language skills to the group. Far from being the biased opinion of one translator, a finished New Testament like this one is the result of whole communities discussing and agreeing together on the various theological meanings, names, key words and idioms. This is no quick process. And when the Scriptures are published, that is not the end. A new generation who will grow up in God’s word will one day want to revise the translation and update the language used. Reading, studying, discussing, understanding, preaching and translating God’s word afresh is the job of each new generation of believers. Thanks! I’m glad you like it. You are most welcome to reproduce any content you find here. Just please give a credit to the photographer – Zeke du Plessis.